24V 30 minute programmed timer relays. Individually programmed 'PIC' controlled timers. 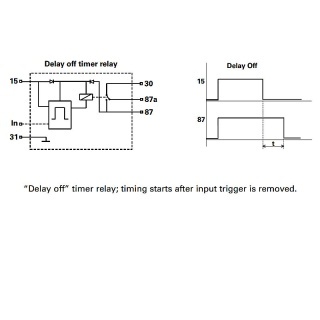 Delay off timed function to give a time response before circuit switching. Timing starts after input trigger is removed. Important: Please allow for an extra day on delivery due to programming requirements. Delay: 30 minutes delay off function. 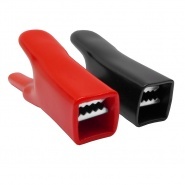 Voltage: 24 volt application with a 18v to 32v operation range. Temperature: minus 40 to 80℃. 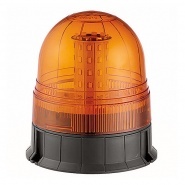 Supplied with a metal mounting bracket. 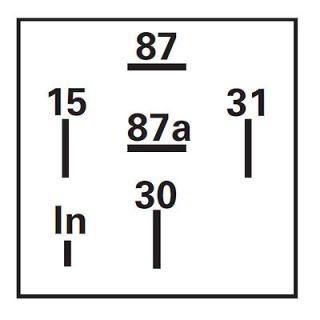 Input trigger in the diagram is via pin 15. 'In' is not used in this programmed version. 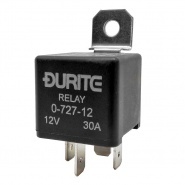 These relays are held on stock as a core (not programmed) unit and the programming process is not reversible. Each and every unit requires pre-programming and bench testing 'To Order' to ensure the timer function is calibrated correctly, and that every unit works prior to dispatching. 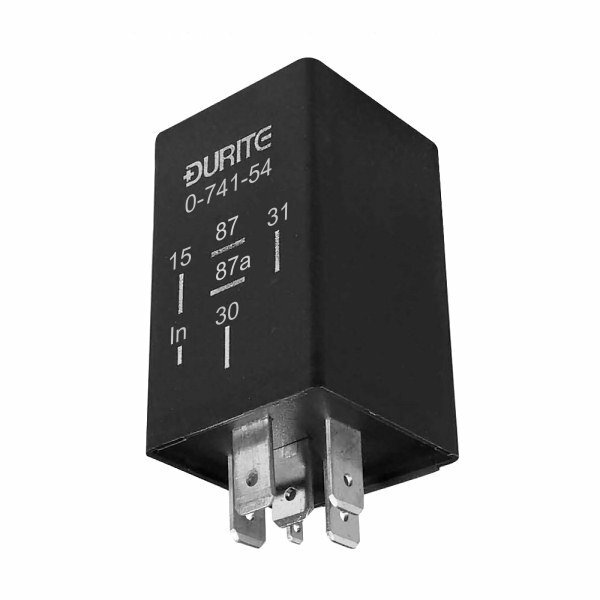 This means that the 'Programmed to Order' relays are not refundable if an order for the wrong specification is made by mistake. This measure is inline with Long Distance Selling Regulations (LDSR), and if you are not reordering and are unsure of the function of the relay, please contact ourselves or Durite's technical helpline to discuss your requirements.